Conjugated Linoleic Acid. Provides 3000mg of CLA per daily serving. It provides 200mg of natural caffeine per capsule. The caffeine undergoes a vegetable extraction process of the green coffee beans. New format! L-Carnitine with Arginine and Caffeine. A great combination! Source of Vitamin B6. 100% pure Whey protein isolate. Unflavoured. 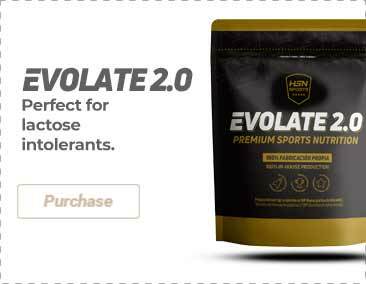 New improved formula, soy lecithin-free! Provides 28g of proteins per serving. Pea protein isolate. High percentage of proteins. Available in several flavors! New and improved formula, now with more proteins per serving and sugar-free. Whey protein concentrate, now with more protein per serving and soy lecithin free. 100% pure raw material. Whey protein concentrate combined with oat flour of the best quality. 22g of protein per serving. It provides 3g of L-Carnitine per daily serving. Vegetable capsules. Energy Performance Focus, all in one! Provides 1000mg of Acetyl L-Carnitine per serving. Vegetable capsules. Dehydrated Egg White powder. It provides 26g of proteins per serving. Powerful thermogenic for the elimination of fats and fluids. Animal Cuts is a thermogenic fat burner. Universal Nutrition sales leader. It provides 500mg of Chitosan per capsule. 27g of proteins per serving. Milk from grass-fed cows. 100% RAW product, without sweeteners. It provides 400mg of caffeine, 200mg of Paullinia Cupana and 40mg of ginger per daily dose. 100% Fructose powder. Perfect sweetener or substitute for sugar. Low glycemic index.